In Vyte, you can connect as many calendars as you have (we only limit for free account to 1 calendar). 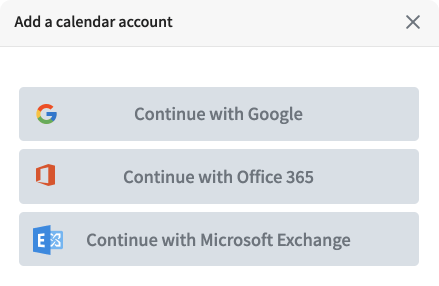 You have the choice of connecting with Google, Office 365 or Exchange (only Pro) at the moment. 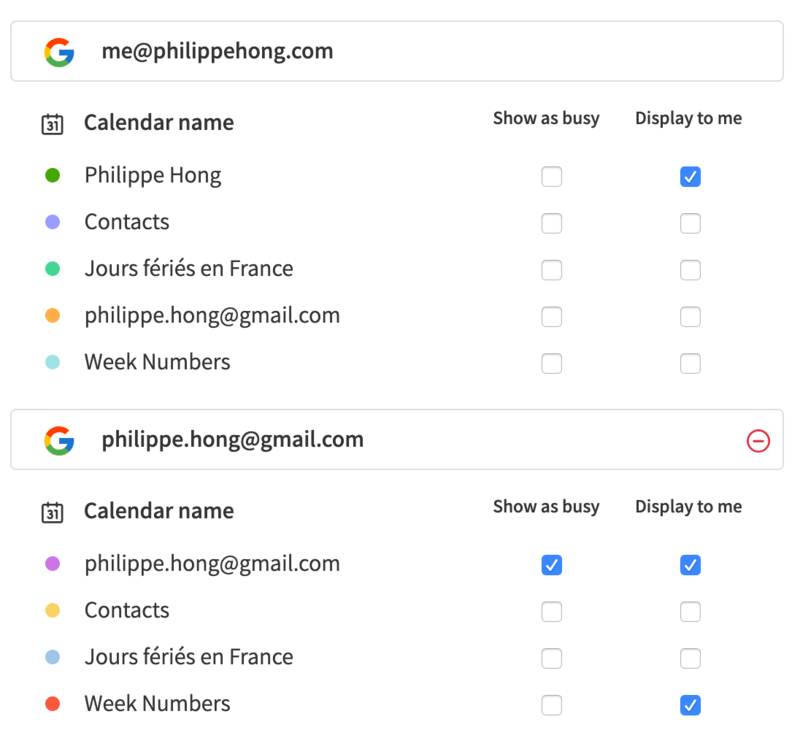 Moreover, you can select which calendar you want to show and what to show as busy. 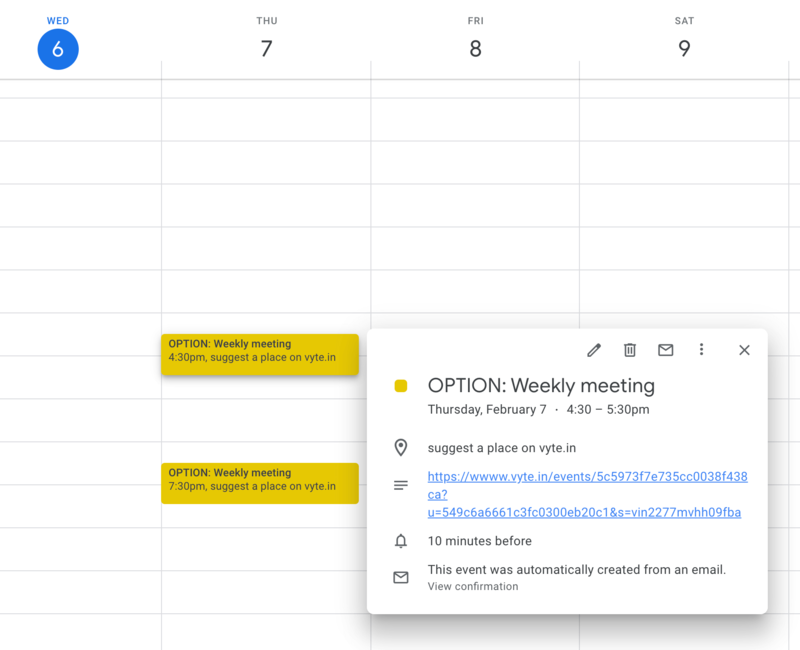 Vyte synchronise with your Google calendar and Options are indicated in your google calendar. You can change, edit, access your vyte event through your Google Calendar. Synchronize with your Office 365 calendar so people can check your availabilities (they won't see the details) and book you accordingly.